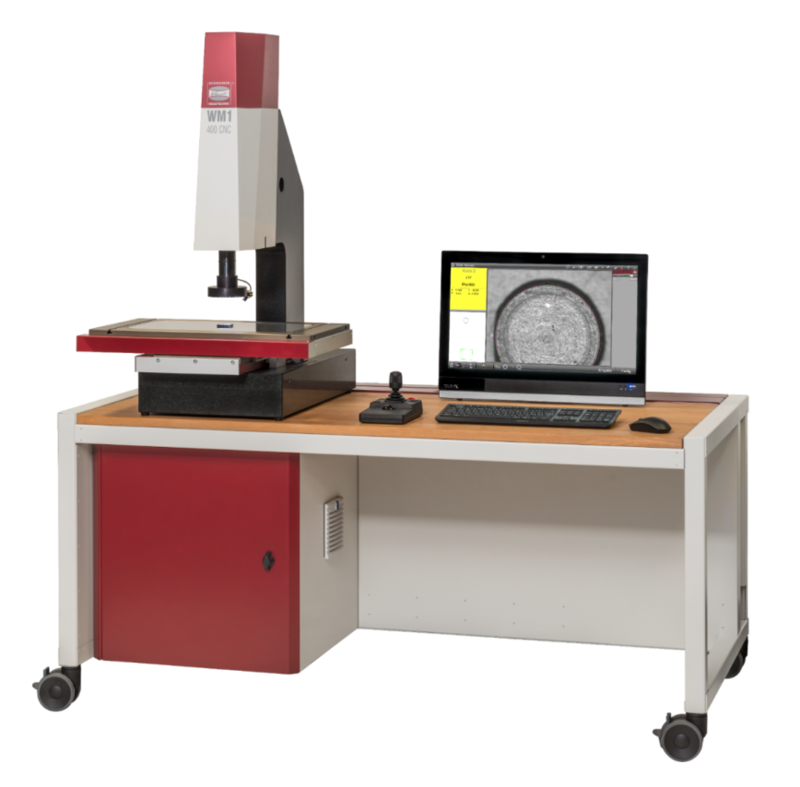 Tailor-maide solutions for your measurement tasks for the measuring of stamped, plastic, rubber, milled parts, tools, profiles, boards etc. Whether you have your eye on a manual model or on a CNC-operated model of WM1 – in either case, you can benefit from Schneider’s powerful software packages SAPHIR and M3! In the entry-level category, the M3 measurement software sets new standards in erms of intuitive design, user friendliness and functionality. If you require particularly smart programming and analysis features, Schneider’s 3D measurement software will be your tool of choice. The CNC model can be optionally expanded into a basic multisensor device by complementing M3 or SAPHIR with a touchtrigger (tactile) probe. Series WM1 by Schneider provides tailor-made solutions that can be fl exibly adapted to your specific needs.